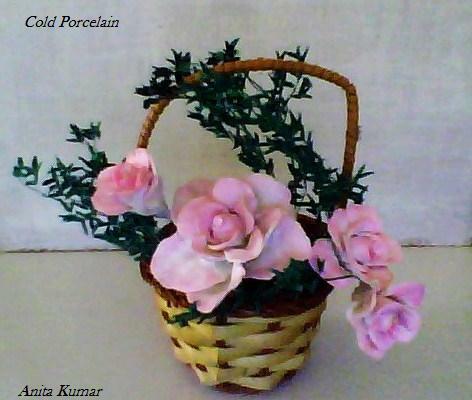 Getting inspired by my peers I thought of painting my cold porcelain roses with oil paints. I have used red and white colors to get pink shading . I feel thats its hard to get shading without using oil paints in CP . Oil colors take a long time to dry unlike acrylic paints which dry in minutes. These roses were painted a few days back and are still slightly wet. But acrylic colors do not give a realistic look and oil colors are better in this respect. This year I am experimenting with various methods of coloring Cold Porcelain flowers .